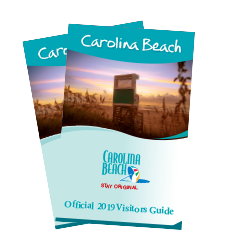 Twist up your favorite holiday traditions this year with a getaway to Carolina Beach. The island town turns into a winter wonderland with lighted displays, flotillas, the North Pole and more that will give you a memorable experience to remember for holiday seasons to come. Experience a beach town transforming into a holiday oasis during the Island of Lights Festival. The month-long event kicks off with a tree lighting by the lake on Nov. 23. On Dec. 1, the Christmas parade of days gone by is revealed with the Christmas Flotilla that brings your favorite décor to the water on Dec. 1. The North Pole invades the Carolina Beach Boardwalk during Christmas by the Sea. Every Saturday night from Nov. 24 through Dec. 15, enjoy cookies and hot chocolate when you visit Santa at his workshop, roast marshmallows by the fire and nearby ocean, listen to carolers sing and hear your favorite holiday stories. Decorated homes are a key tradition of the season, but have you experienced them at the beach? Tour through exquisite southern homes on Dec. 8 during the Island of Lights Holiday Home Tour. Down the island at nearby Kure Beach, venture through unique underwater animal’s decorated home at the Cape Fear Festival of Trees at the North Carolina Aquarium at Fort Fisher. The aquarium turns into an elegant forest from Nov. 19-Jan. 2. Toast the holidays with a night out on the town. Enjoy a North Carolina favorite feast at Carolina Smokehouse. End the night at local-favorite the Fat Pelican to sip on one of their 350 beers chosen from its walk-in cooler. Celebrate the close of 2018 with a party on the ocean at the Island of Lights New Year’s Eve Celebration at Kure Beach Ocean Front Park and Pavilion. The festive, family-friendly night invites you to join in dancing, refreshments and party favors before watching the big beach ball drop at midnight with a fireworks display following.